Welcome to our family here at Yandle’s Splash Time Pools. We offer the highest quality concrete pools in many shapes and designs, to transform any backyard into a showplace for pleasure, fun and recreation. We have worked hard to maintain an excellent reputation and set the highest standards in our industry. 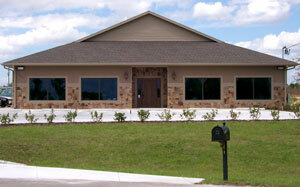 We are committed to excellent service and total customer satisfaction. We cordially invite you to visit our showroom, where our professional staff is willing and eager to provide information and answers to your questions before, during and after construction. We encourage you to share your ideas and questions along the way, so we ensure your backyard dream comes to life exactly as you imagined. Contact us today for on-site location analysis and a cost-free estimate at your convenience. Yandle is the family name you can trust to build the backyard of your dream. 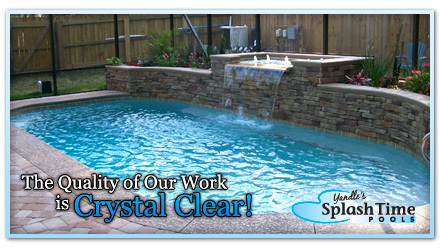 Yandle’s Splash Time Pools, Inc. is a family owned and operated swimming pool company located in Marion County Florida. The Yandle name has been known in this county for four generations. Mark and Henrietta Yandle founded Yandle’s Splash Time Pools, Inc., in 1993, with the goal of becoming one of Marion County’s top pool builders. In 22 years, the company has grown to be one of the most recognized names in swimming pool construction in the area. In mid 2002, Mark and Henrietta’s eldest son, Grant, joined the team, adding an even higher level of that personal family touch. Constructing everything from small splash pools fitting every budget, to custom projects with all the bells and whistles, we have built a reputation of excellence based on quality construction, fairness and five star customer service. All of our pools are built by craftsmen employed by Yandle’s Splash Time Pools, Inc. Each and every employee is always willing to listen and go that extra step for our customers. 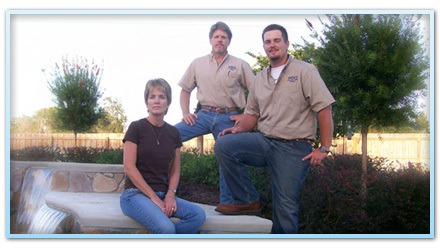 Mark, Henrietta and Grant, each hold a state of Florida swimming pool contractors license, to assure you of the absolute best built swimming pool.